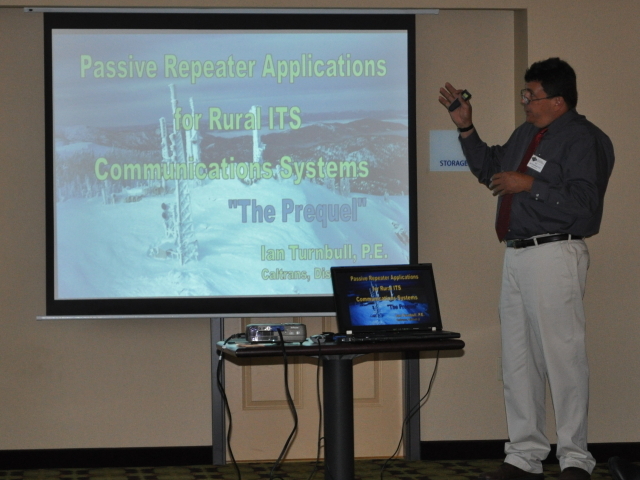 Passive Repeater Applications for Rural ITS Communications Systems "The Prequel"
Caltrans District 2 has an extensive field element network that facilitates communications between ITS roadside devices and the Transportation Management Center in Redding, California. In rural areas, the use of microwave for roadside communications is often desirable due to the lack of other communications facilities in the area. However, the line-of-sight requirement for a reliable microwave path is often difficult to obtain because highways in mountainous rural areas tend to be located near the bottom of canyons and ravines. The District 2 team successfully deployed a passive microwave repeater, or microwave reflector, to mitigate this problem in one location along Interstate 5 at Fawndale (near Redding). 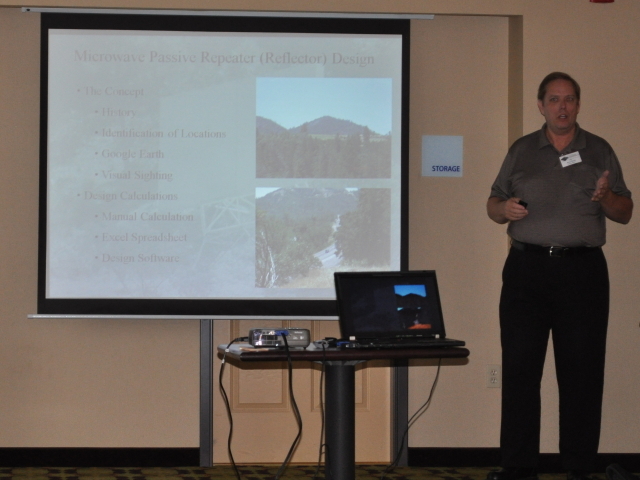 This presentation provided a detailed look at the physics behind passive repeater applications, how to identify potential passive repeater sites, how to engineer the associated microwave path and the physical installation and orientation of the reflecting structure. Ian Turnbull from Caltrans District 2 describes a passive repeater system and how it can fit into a Rural ITS communications strategy. 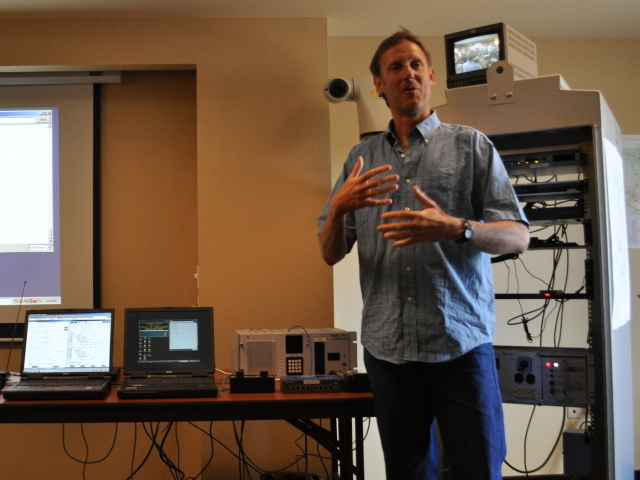 Ken Beals, also from Caltrans District 2, explains the technical aspects of a passive repeater system including how to size, design, install and align a typical passive repeater. Following a major earthquake, one of Caltrans’ most critical tasks is to assess the condition of all potentially impacted bridges and roadway corridors in the state highway system. 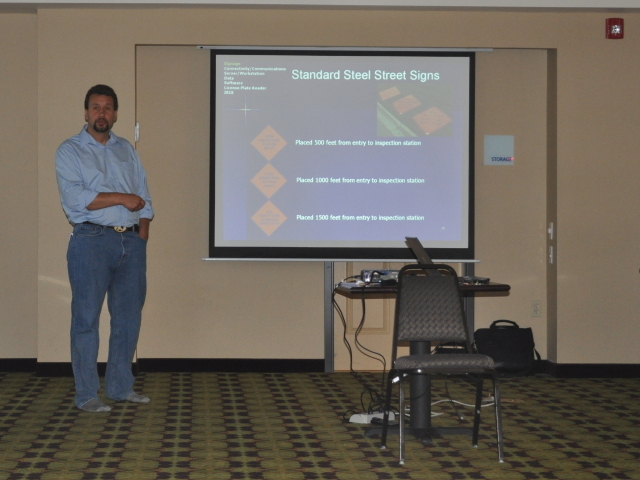 In the past, bridge inspection teams were significantly challenged with establishing priorities because they lacked precise information about where the worst shaking and the greatest damage had occurred. To address this, Caltrans partnered with the United States Geological Survey (USGS) to develop a Caltrans version of the USGS ShakeCast system, a post-event analysis tool. Mr. Turner explained and demonstrated the web-based Caltrans ShakeCast application, showing how the tool automatically retrieves measured earthquake shaking data, analyzes it against individual bridge performance characteristics, and generates inspection prioritization emails and other web-based products for emergency responders within minutes of an event. 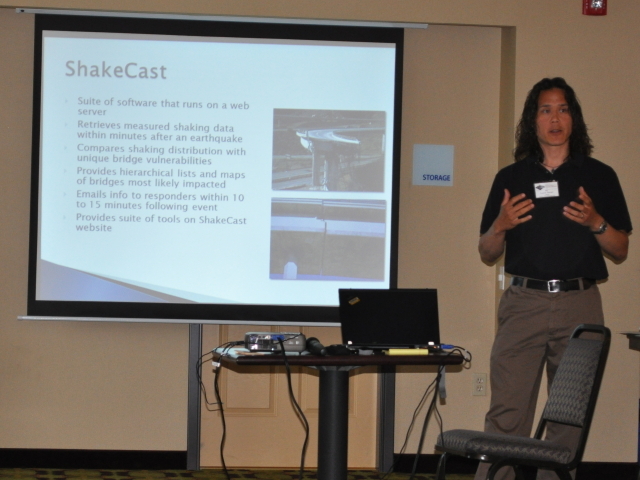 Loren Turner, a geotechnology applications developer at Caltrans Division of Research & Innovation, described and demonstrated the Caltrans ShakeCast system developed for prioritizing bridge inspections after an earthquake. Under contract with Caltrans, the Western Transportation Institute has established a proof of concept for an Automated Safety Warning Controller that interfaces with roadside devices such as sensors and signs. The controller allows for automated data collection and application of best practice algorithms to analyze sensor data and to actuate related warning messages to travelers. It is designed as a standardized system, versatile enough to be used at any location and with any number and type of field element data sources. 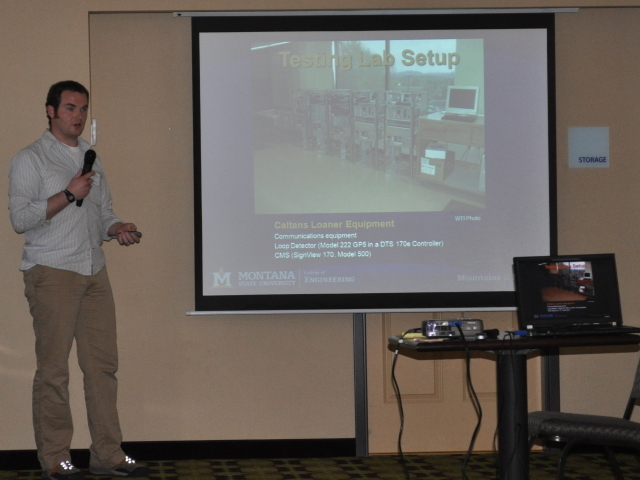 This presentation summarized the system concept, requirements, testing and development lab set-up, system design, development, testing, evaluation, and next steps for the project and device. Kelvin Bateman from WTI shows the testing lab set-up for the Automated Safety Warning Controller system his team developed. WTI Research Associate Dan Richter answers questions about the Automated Safety Warning Controller system he helped develop while the system is demonstrated during the Forum. 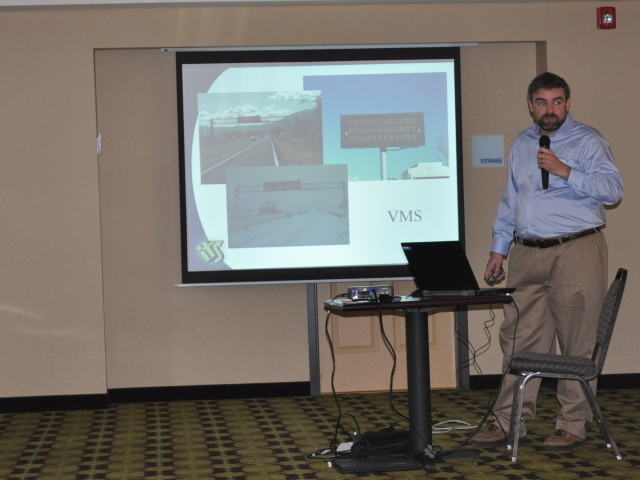 ODOT’s Jason Shaddix demonstrated their support and asset inventory management system for ITS devices and systems. The system coordinates troubleshooting processes between many unrelated support groups, helps to manage and distribute the work, documents the inventory and systems interdependencies, and schedules and tracks preventative maintenance. Mr. Shaddix showed how the system handles work requests and then the reporting mechanism for increased workloads. He explained costs and benefits associated with the system and its implementation, lessons learned, and the different aspects of support and inventory management and how those fit with ODOT’s organizational practices. Oregon DOT’s ITS Support Lead, Jason Shaddix, demonstrates their support and asset inventory management system for ITS devices during day 1 of the Forum. Alaska DOT developed a mobile inspection station (MIS) to increase inspection capability of the seven fixed weigh stations that are currently covering Alaska’s 14,000 mile road system. The MIS consists of all components necessary to allow inspectors to perform roadside inspections of commercial vehicles, enforce size and weight regulations, and utilize e-screening to check commercial motor vehicle safety records, all in previously unpatrolled areas and for an extended period of time. The Alaska CVE team discussed the technical challenges related to MIS configuration, technical capabilities, non-technical challenges faced after deployment, data analysis and MIS effectiveness, solutions and lessons learned. Mike Pannone, a Data Processing Manager with the Alaska Department of Transportation & Public Facilities, describes the components and technical capabilities of the mobile inspection station for commercial vehicles that he helped deploy. 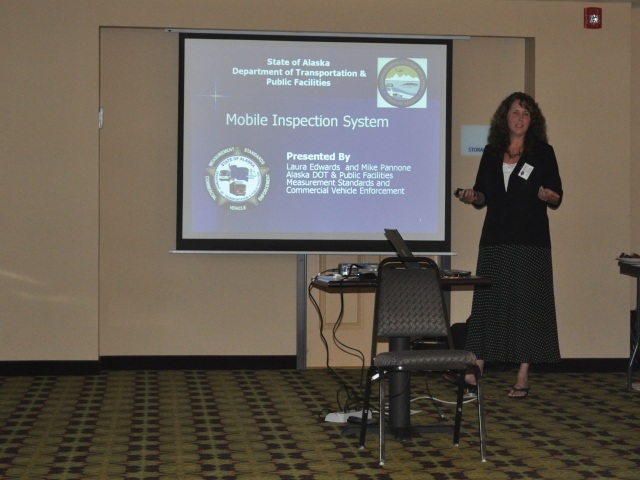 Laura Edwards from Alaska DOT & Public Facilities explains the background, need, cost, deployment plan and first year results for the mobile inspection station that she and her team developed and implemented. This presentation described experiments conducted by the University of Washington that compared travel times determined using a Bluetooth MAC address-based sensor developed in house to travel time data collected by commonly used, standard automatic license plate recognition devices. Mr. Malinovskiy discussed the effectiveness of using different types of antennae, how the experiments were set up and conducted, limitations, and the design and building of the device itself. To discuss rural challenges and applicability, two experiments were conducted near Yreka during the Forum (Anderson Grade, Walters Road) and the results were presented to the group. 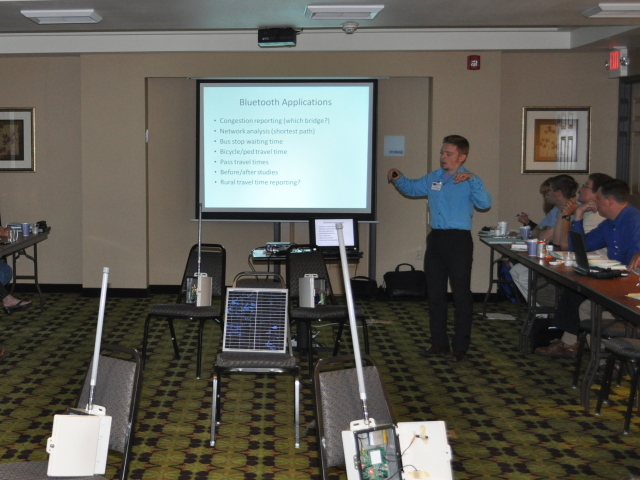 The devices were set up and collected data during the demonstration. Yegor Malinovskiy, a student researcher in the Smart Transportation Applications and Research Laboratory (STAR Lab) at the University of Washington, explains some of the potential applications for Bluetooth MAC address matching.